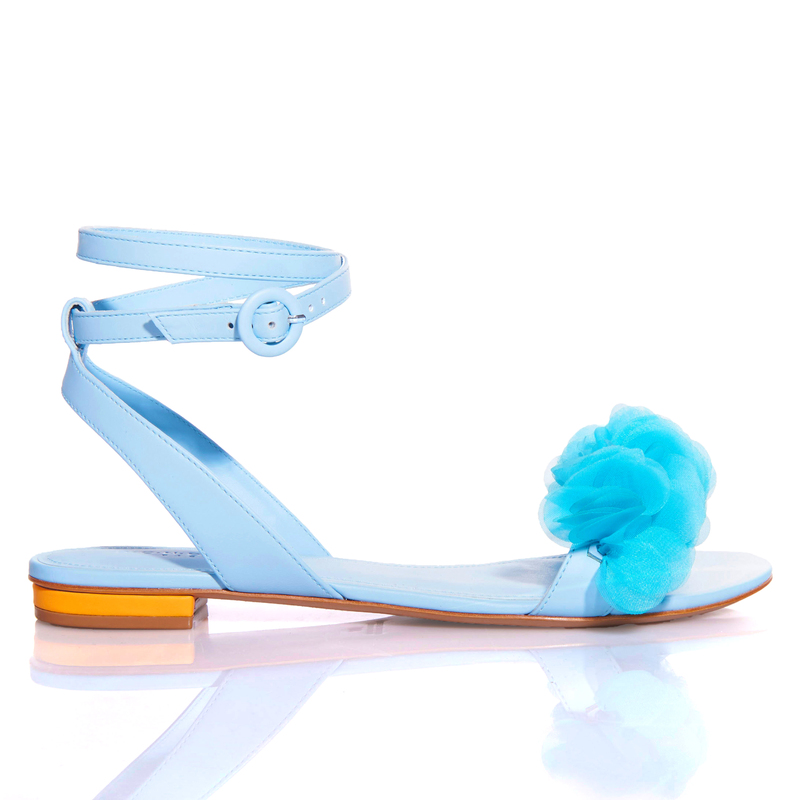 This pair of baby blue sandals is just what you need to spice up your outfit! They will join you during the day or for a nice summer evening event. They're easy to wear and comfortable, perfect for strolling around seaside towns or in the city. • 100% genuine leather• Open toe sandals• Organza petals• Adjustable buckle closure• Handcrafted in Brazil• Suggestion: if you are between two sizes, it’s better to take a size up.